One of my new favorite things to do is facilitating Cynefin 101 workshops within my corporate clients. It allows me to be quite provocative and disruptive (which I’ve started enjoying of late), and I love seeing “the lights come on” when people get it. The interactions between attendees can also be pretty illuminating. A week or two ago, I had the opportunity to facilitate this workshop within an organisation that is in a pretty bad state of disarray at the moment. The people in the room were pretty diverse, with a good representation of middle to senior management. The initial context setting (mostly around how the nature of change has changed, continuous disruption and the need for strategic agility and new ways of making sense of the world) resonated with the group and lively conversation ensued. 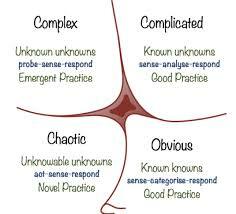 When we came to the Cynefin framework an interesting dynamic emerged. 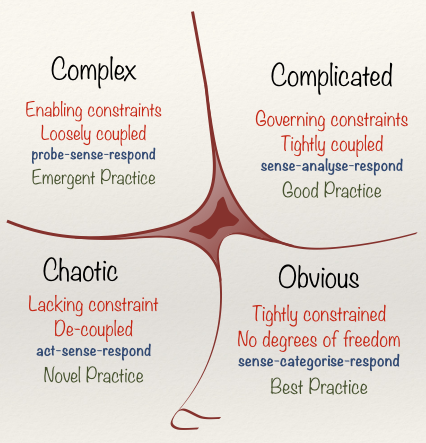 The group kept pushing me to tell them which one of the Cynefin domains I thought the organisation was in currently. After numerous explanations about the differences between sensemaking and categoristion; that an entire organisation cannot be categorised into a single domain; granularity etc the group kept circling back to that question. Eventually they started debating which domain they felt it was in, and overwhelmingly the group seemed the think that the entire organisation was in chaos. Again, explanations that an entire organisation cannot be in a perpetual state of chaos and that by its very nature the chaotic domain is a transitory state were ignored. In fact almost the entire group vigorously defended the idea that they were in chaos. At first I couldn’t understand why this would be, why would anyone want to be in a perpetual state of chaos? 1. 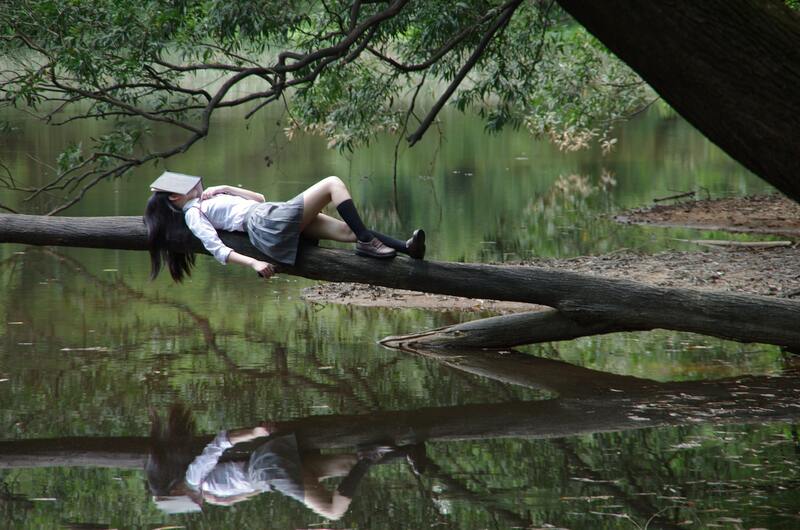 Seeing everything as chaotic leads to decision paralysis. In this company, even legitimately obvious and complicated issues weren’t being addressed. 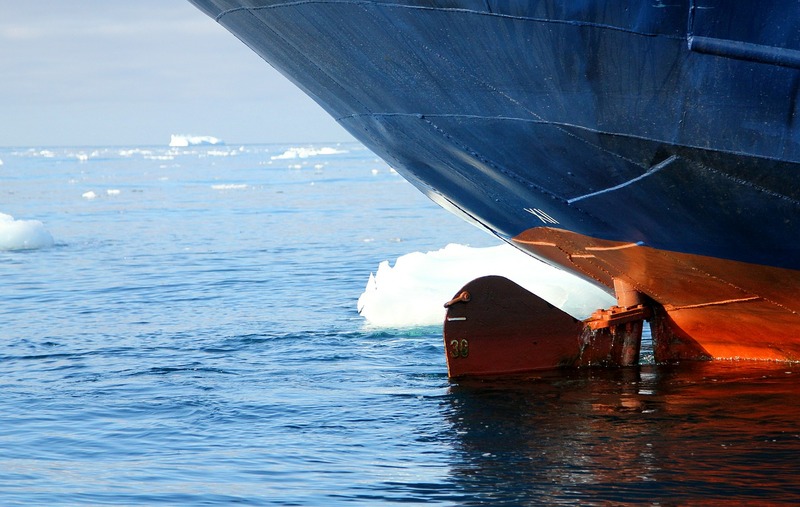 Decisions about technical problems that has always been around were now put off. No-one wanted to make decisions about things that were essentially covered by Standard Operating Procedures. This paralysis was in fact causing more and more actual chaos due to a glut of completely avoidable crises. In essence, believing you’re in chaos was a bit of a self fulfilling prophecy. 2. Being in chaos undermines accountability as it becomes a perfect excuse to hide behind. If the organisation is in chaos no manager can possibly be expected to make effective decisions and they also cannot be blamed when things go wrong because in chaos “things just happen” and cause and effect cannot be established. 3. In chaos, knee jerk responses are legitimised. The operating modality in chaos is “act > sense > respond” – because we are in crisis there is a need for quick action to stabilise the situation. If an organisation believes it is in perpetual chaos, long-term thinking is sacrificed and short-term fire-fighting becomes the norm. It is clear how this behaviour can have serious negative consequences in the long term. This scenario re-enforced my belief that sensemaking, and specifically the Cynefin framework truly adds value in organisations. It significantly changes the nature of strategic conversations and it effectively highlights problematic thinking and biases. For organisations in crisis, it is also highly effective as a means of overcoming the seemingly overwhelming uncertainty that decision makers face. If we can take the ordered problems and decisions that they know how to deal with off of their plates, we free them up to focus on the truly complex (and yes, possibly chaotic) problems. Decision makers are often relieved to see that there are still aspects of their worlds that are ordered; where they do still have some measure of control – this provides just enough stability for them not to be completely overwhelmed by the complexities and uncertainty they face elsewhere.